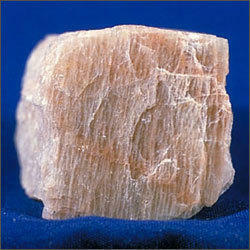 This product is in abundance and mostly found with group of other minerals in the earth’s crust. The processing of this product in our labs provides rich in quality and a well recognized product country wide. Feldspar Mineral offered is processed using latest technology support as well as quality assured mineral content that assures of superior constitution value of the end packaged product. These minerals have high usage in different end applications and are highly demanded because of its alumina and alkali content. Further, it is also recognized for its chemical properties, negligible iron content as well as superior processed quality, thus making it highly demanded in Ceramic as well as in Glass based industry sectors among others.